Voters in New York need to provide a reason for voting absentee and Peter Cooper Village resident Florence Friedman had a good one: she turned 100 the day before the election. When she was born in 1916, the actual day of the election that year when voters reelected Democratic incumbent Woodrow Wilson, women were still not allowed to vote. And although Friedman wasn’t able to make it to her polling place on Election Day because of limited mobility, she said she enthusiastically sent in her ballot ahead of the deadline because she wanted to make sure her vote was counted for Hillary Clinton. She was saddened when she woke up on Wednesday and found that her choice had not won. After being calendared by the Landmarks Preservation Commission for the last 50 years, the wait at Town & Village Synagogue is finally over. The East 14th Street building was officially landmarked last Tuesday, and T&V president Marianna Mott Newirth said that the community is happy with the commission’s compromise in their decision. The need for compromise came from the fact that the synagogue is actually made up of two different structures — the original façade and the back part of the building that was added later — and the synagogue’s community was opposed to landmarking the entire building because of the difficulties involved with getting approval from the LPC for renovations. As a result, the landmark status applies only to the façade of the building. 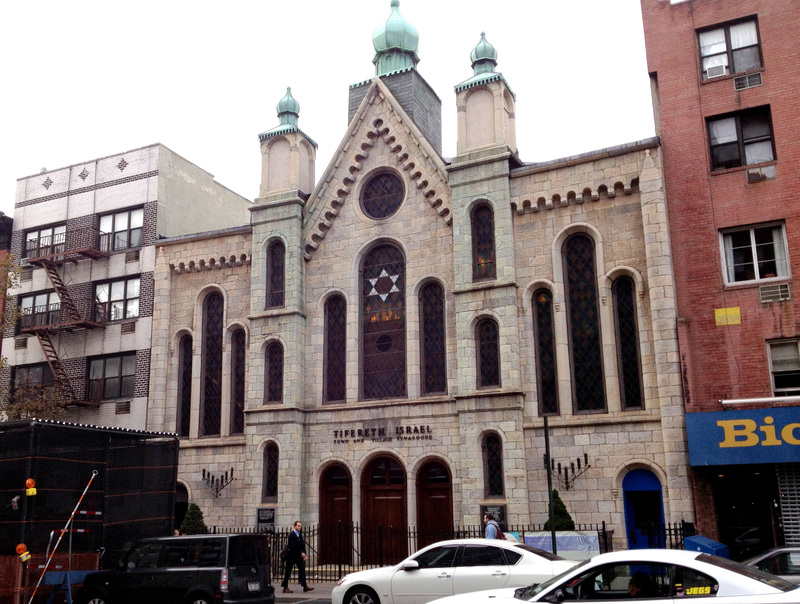 Many members of the synagogue were wary of landmarking because of how it would affect necessary renovations for the building. Since the back part of the building wasn’t landmarked and the same restrictions don’t apply, work that needs to be done there won’t be a problem, but Newirth noted that there won’t be much change in their process anyway: it’s been calendared for so long that it’s almost like the property’s been landmarked the whole time anyway. This year marks the first time in 125 years that two fall holidays will be happening on the same day: Thanksgiving, which falls on the fourth Thursday of every November, will be on November 28 this year and the first day of Hanukkah, which falls on the 25th day of Kislev according to the Hebrew calendar, will also be this upcoming Thursday. The Hebrew calendar is lunar and has fewer days than the solar Gregorian calendar so the former occasionally adds in a month to compensate.